The Iranian nation is made up of diverse religious and ethnic groups. In a sense, Iran can be described as a multi-ethno-religious society. Religious and ethnic diversity throughout history has been a source of classification, difference and discrimination among the general public, which has manifested itself in a variety of ways in accordance with the types of government in place. Ethnic minorities are at times also considered to be religious minorities, including the Kurds, Turkmen and Baluchis who mostly do not adhere to the official religion of the country and are therefore, discriminated against on both grounds and to a greater extent than other groups. What follows is an examination of the legal context of undue discrimination against religious and ethnic minorities in the Islamic Republic constitution. Other political, civic, cultural and social dimensions of discrimination against these minority populations are found in other laws and long-term historical processes in Iran. The democratic structure of Iran, including its constitution, does not have a long history. The first written constitution in Iran was approved following the Constitutional Revolution of 1906, and went through many challenges without proper implementation. Iranians are not familiar with the true importance of the constitution and in a revolutionary manner in 1979, following the fall of thousands of years of monarchy, gleefully passed from tyranny to liberty without regard for the legal tools essential for maintaining freedom and equality. Iran’s current constitution was approved on 1st April 1979 through a referendum. It guarantees legitimate rights, justice, equality and the elimination of discrimination through Articles 3, 19 and 20, amongst others. However, the rights derived from it are conditioned on adherence to the official religion of the country, 12 Imamate Shia. Discrimination is embedded by the need to align all laws with Islamic rules according to Article 4 of the constitution and to accept the principle of Supreme Leadership in the country, with centralised political power and the security forces under his control. This situation, along with the emphasis on a shared Persian language, has led to Iran’s diverse population being faced with various forms of discrimination and inequality, including religious and ethnic discrimination, which will be reviewed below. The Islamic Republic constitution is conditioned on adherence to the 12 Imamate school of Shia Islam as the official religion of the people of Iran, as set out in the constitution’s Preamble and Articles 1, 2 and 12. This condition does not only result in the most important and severe forms of discrimination against religious minorities, but it also means that in order to enjoy full rights and freedoms, one must follow the official religion. Article 13 of the constitution provides certain religious and personal property rights to some minorities such as Christians, Jews, Zoroastrians and non-Shia Muslims. Furthermore, it favours all followers of Twelve Imamate Shia Islam. Although, even in their case, following the Supreme Leader is a requirement, which if not observed, leads to certain types of discrimination. Likewise, preferential treatment and prioritised rights for a specific school of thought while ignoring others, in particular those who do not adhere to Islam or other religions recognised by Article 12, together with the emphasis in Article 4 on the necessity of legislating laws and setting regulations in accordance with Shia Islam, makes any religious activity other than Shia very difficult, resulting in discrimination becoming a component of the state apparatus. Denial of the right to be elected as the Supreme Leader or membership of the Supreme Council in accordance with Article 107, which stipulates that only a selected few Shia clergy in certain circumstances can enjoy these rights. Denial of access to proper political, administrative and judicial structures at all levels. For instance, Article 115 limits the right of candidacy to qualified religious and political figures. In addition, Article 121 about swearing in the President, especially the section that refers to him as the protector of the official religion. Members of unrecognised minority groups are not allowed to join the Assembly of Experts or be candidates for the parliament according to Article 64. All followers of minority religions are denied judicial positions based on legal grounds stipulated in the constitution, as Article 61 requires all applicable provisions of the judiciary to be in accordance with Islamic teachings, including the appointment of judges, which in practice bars all minorities from judicial positions. By the lack of recognition of all belief systems, with the exception of the majority religion of Shia Islam, Articles 12 and 13 of the constitution practically and entirely deny the right to carry out acts of worship, maintain places of worship and engage in the peaceful promotion of their faith to followers of all other religions. This lack of recognition has resulted in the destruction of all places considered holy by the Baha’i faith, some Zoroastrian holy places, the Ne’matollahi Gonabadi Dervishes mosque in Qom and the refusal to issue permits for Sunni mosques in Tehran and other cities. The emphasis in Article 2 of the constitution that the Iranian state is based on adherence to the teachings of the Shia branch of Islam and solely Shia jurisprudence. This denies every avenue of religious activity, access to media and the right to publish literature for all non-Shias. The overall advantages for followers of Shia Islam compared to followers of other branches of Islam, recognised minorities and other religious minorities are clearly set out in the constitution. Unjustified discrimination towards minorities, in particular non-Muslim religious minorities, is enshrined in the constitution. Basing all matters on Sharia laws is a means of exclusion and disregard for non-Muslims who are defined as infidel, given the fact that the Islamic perception of infidels is that of unclean or inferior. The political, social and cultural system founded on Iran’s constitution rejects and suppresses any ideology that opposes the country’s official religion. Regulations that are based on the constitution, in particular Article 4 requiring that all laws are in accordance with Sharia codes, points to systematic violence against all other beliefs. Based on this article, a 16 year old Baha’I minor named Nasim whom I personally represented in 2008 who allegedly laughed during the recital of morning prayers at her high school was accused of insulting the sanctities. She was investigated and expelled for two months from high school, simply because her classmates came to know of her religion and forced her to study at another high school. In this regard, the Ministry of Education and the Revolutionary court and intelligence forces collaborated as one network, with one of the school officials reporting the child’s laughter to the Ministry of Education, and they subsequently informed the intelligence services. The intelligence services informed the Revolutionary court which issued the order for the arrest of this child and inspection of her home by the security forces. If Article 513 of the penal code had not been approved in order to protect the beliefs of the Shia majority with the backing of the constitution, the case of Nasim and thousands of similar cases, would not have faced systematic violence, deprivation from education and legal proceedings through court. The most important discrimination against ethnic minorities in the Iranian constitution is outlined in Article 15. Based on this article the official language in Iran is Persian. With this article in place the language, culture and literature of ethnic minority groups are not included. All government offices and even nongovernmental offices in non-Persian speaking regions must use Persian in their correspondence and communications. While the second part of Article 15 accommodates the limited use of minority languages and scripts in local media and schools alongside Persian, in practice this has never been the case. As Article 15 does not guarantee the rights of ethnic minorities, those whose have a first language other than Persian have not been able to use their native tongue in schools. Children in many parts of Iran begin school under challenging circumstances. They speak their mother tongue at home and without mastery of Persian are forced to study in Persian by teachers whose first language is also Turkish, Kurdish, Turkmen, Baluchi or Arabic. Lack of proper teaching techniques for these students places them on unequal footing with their peers and increases their chances of being left behind educationally. All parts of Iran have the same educational system and a student whose mother tongue is Persian is taught alongside other students. There are no processes in place to teach Persian as a second language. Mastery of the Persian language can result in a disregard for local tongues and the gradual decay and elimination of literature, culture and music in these languages. Persian is the language of government offices and the judicial system. In a number of ethnic minority dominated regions writing and speaking in Persian is not widespread. Therefore, because of the lack of translators in courts and government offices, those members of ethnic minority groups face greater degrees of discrimination. Language and literature are among the most important tools for human development, so lack of official efforts to promote local languages in regions of Iran with high ethnic minority populations is one of the reasons for the lack of development throughout these parts of Iran. Mastery of the Persian language throughout history is a form of cultural nationalism in Iran that has gradually disregarded ethnic minority languages and resulted in unequal opportunities for speakers of local and ethnic minority tongues. Although it is possible to say that education in one’s (non-Persian) mother tongue can bar access to Persian-speaking universities, teaching Persian at the outset of formal education for a child whose mother tongue is not Persian can cause severe anxiety and lack of equality in teaching in an integrated and nation-wide system for Baluch, Turkmen or Kurdish children who do not know Persian. This inequality can in turn lead to dropping out of education during the primary years that will never advance them towards university education. Statistics show that those left out of education in ethnic minority dominated regions is higher than the rest of Iran. Since any type of organised or state violence is defined as any cause that leads to the suffering of others, the necessity to learn anything other than the mother tongue during the early years of formal education can cause children to drop out of education before the end of secondary education. This problem applies more to girls than boys, and in particular in nomadic Turkmen regions, which are heavily affected by this challenge. Certainly training in a language other than the mother tongue and inequalities in access to educational opportunities and access to better teachers affect marginal and non-Persian speaking native regions of Iran. For example there are still children in the Sistan and Baluchistan regions who attend schools in sheds. According to its official paper, in some of the nomadic parts of northern Khorassan, children attend school in 29 mobile shelters that lack even basic facilities. In the Kurdish regions, a fire at Shinabad girls’ school led to the injuries and death of students because of a lack of proper heating facilities, so this inequality can also be seen as resulting in formal and systematic violence against children of ethnic minorities. The on-going discrimination against ethnic and religious groups who do not adhere to the official religion of the government is facing a reaction from civic and cultural groups. However the influence of Sharia laws in all legal dimensions implies that any form of opposition to such discriminations is tantamount to opposition with the fundamentals of Islam and the foundation of the state. Imbuing the security forces, the Islamic Revolutionary Guards Corp and the judiciary with the ideology borne out of the Articles of the Constitution, particularly the principle of the Islamic nature and supremacy of the Velayat-e Faqih and the claim that all actions based on the articles of the constitution are legal, renders all opposition to the various forms of discrimination explained above as opposition to the state. In line with the same legal conclusion based on the constitution, pointing to inconsistencies between the treatment of minorities and international human rights standards, result in a harsh response from Iran’s authorities who claim that 98% of Iranians in 1979 voted in support of its constitution. The discrimination faced by religious and ethnic minorities mentioned in this article is strongly linked to the issue of security. The state considers any type of civic, cultural and religious activity including local associations, classes and training among minorities as a form of opposition to national security. Such oppressive conditions surround all ethnic and religious activists, so much so that the daily life of all minorities is affected. In conclusion, systematic discrimination is found in Iran’s constitution. That discrimination against the minorities is promoted through the laws and regulations in operation throughout Iran. This has led to the institutionalisation of a culture of discrimination and violence against all minorities. Iran Online, Islamic Republic of Iran Constitution, approved March 1980, http://www.iranonline.com/iran/iran-info/government/constitution.html. Some of the sections that are discriminatory and conflicting include: Section 9 Article 3 regarding undue discrimination and equitable opportunities for all in both material and social welfare; Section 14, Article 3 which refers to provisions of all rights for men and women and legal and just security for all and equality of everyone before law; and Article 19 which states that the people of Iran, from any tribe or ethnicity enjoy equal rights and colour, ethnicity, language among others will not result in merit. Article 20 states, all citizens, both women and men enjoy equal protection before law and benefit from all civil, political, economic, social and cultural rights according to Islamic criteria. Articles 2 and 109 of the constitution. Article 110 of the constitution about the duties and rights of the leader in Iran. Article 500 of the Penal Code states: Anyone who engages in any type of propaganda against the Islamic Republic of Iran or in support of opposition groups and associations shall be sentenced to three months to one year of imprisonment. Yaresan or Ahl-e Haqq are followers of an Islamic religious group founded in the 14th Century in western Iran. Article 115 of the Constitution states: The President must be elected from among religious and political personalities possessing the following qualifications: Iranian origin; Iranian nationality; administrative capacity and resourcefulness; a good past-record; trustworthiness and piety; convinced belief in the fundamental principles of the Islamic Republic of Iran and the official madhhab of the country. Deutsche Welle points to some instances of pressures on religious and ethnic minorities based on a report by Human Rights Watch. Also a report by Amnesty International points to the same: Amnesty International, Iran: Human Rights Agenda for Change, August 2013, http://www.amnesty.org/en/library/asset/MDE13/030/2013/en/c1581a70-85c9-44a4-86eb-d5e744746c01/mde130302013en.pdf. This is a title of Fatemeh, the daughter of Prophet Mohammad and the mother of 12 Imams of Shia Islam. Mission for Establishment of Human Rights in Iran , Islamic Penal Code of Iran, July 1991, http://mehr.org/Islamic_Penal_Code_of_Iran.pdf. Article 15 of the constitution: The official language and script of Iran, the lingua franca of its people, is Persian. Official documents, correspondence, and texts, as well as text-books, must be in this language and script. However, the use of regional and tribal languages in the press and mass media, as well as for teaching of their literature in schools, is allowed in addition to Persian. Experts consider deprivation of using one’s native tongue as one of the major reasons for educational disadvantage in ethnic regions. See some points and statistics at: Radio Zamaneh, Stunt Education, September 2013, http://www.radiozamaneh.com/100453#.Uo2EnKUkHGl. Northern Khorassan paper Nr. 17983, November 2013, http://www.khorasannews.com/News.aspx?type=3&year=1390&month=8&day=25&id=3328208. 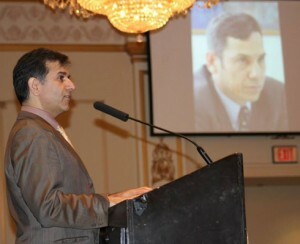 Turkmen rogue websites provide detailed local information as well as academic problems that may represent a minority of children, for more information see here: http://hakim64.blogfa.com/post-27.aspx. Referendum on constitution see: Iran Chamber Society, Iran after the victory of the 1979’s Revolution http://www.iranchamber.com/history/islamic_revolution/revolution_and_iran_after1979_2.php.